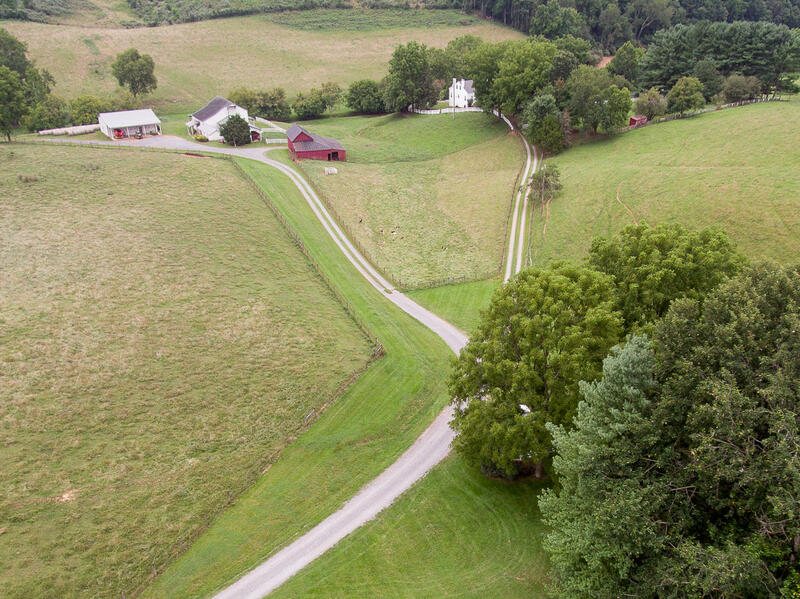 Directions: Rt 11 south of Lexington, turn left on Falling Springs, turn right on Fancy Hill, turn left on Journeys End. 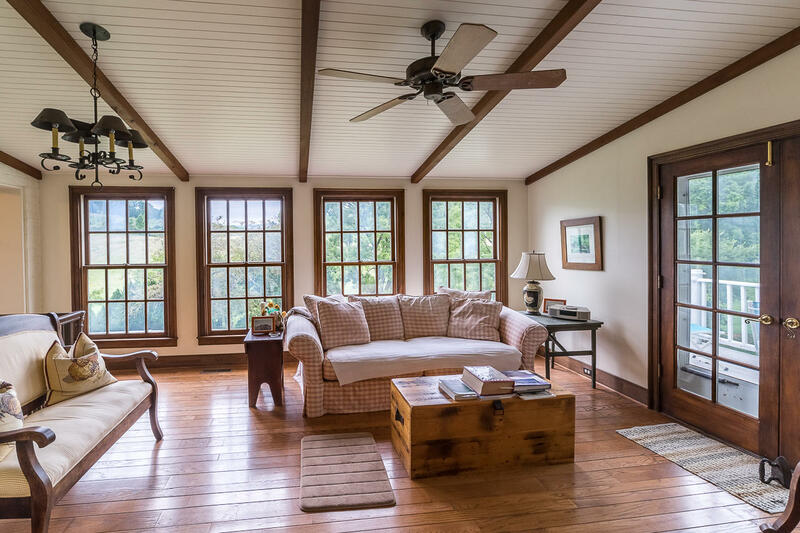 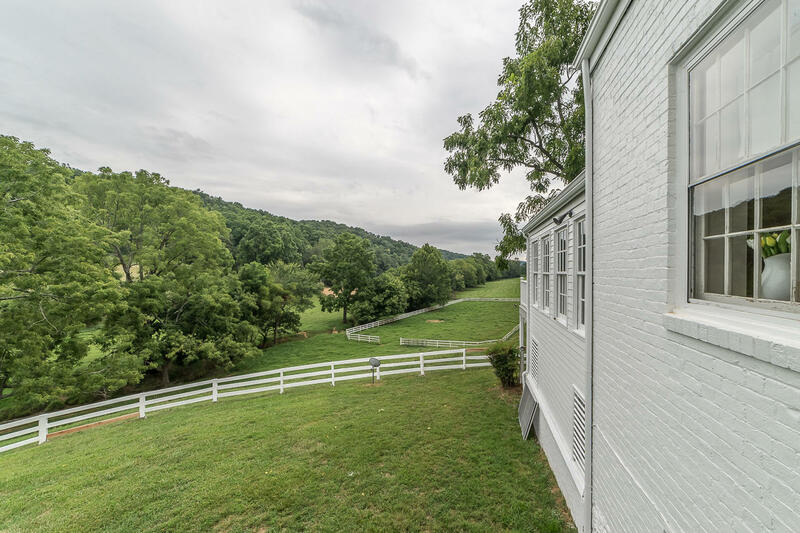 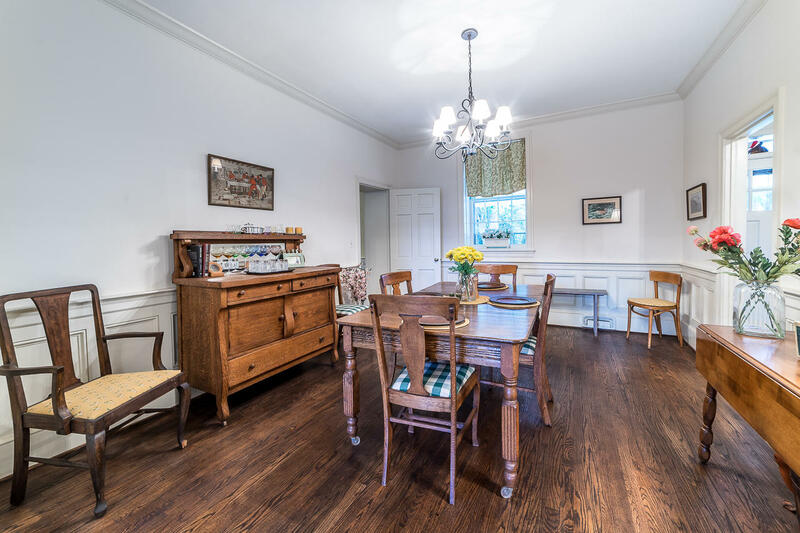 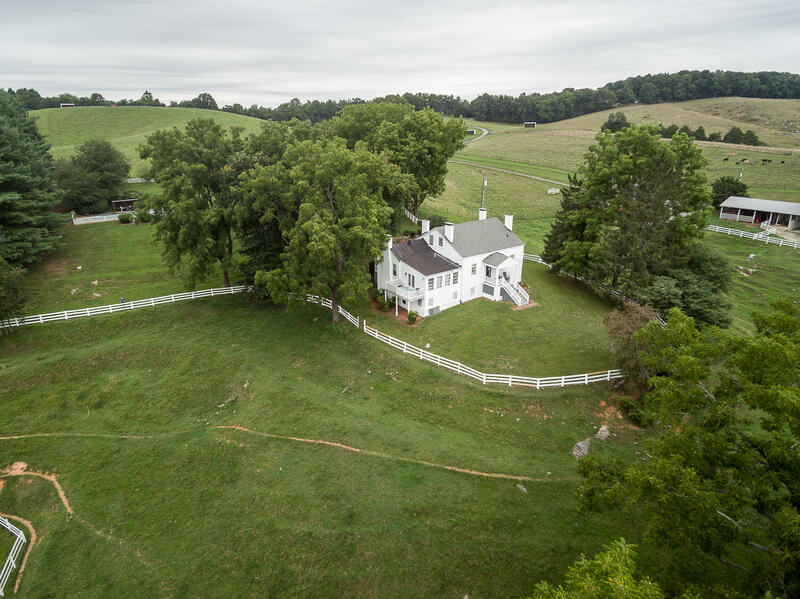 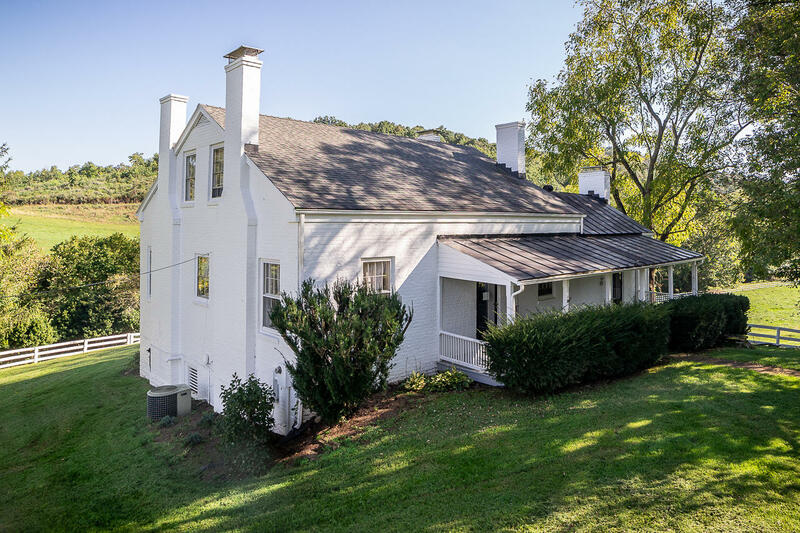 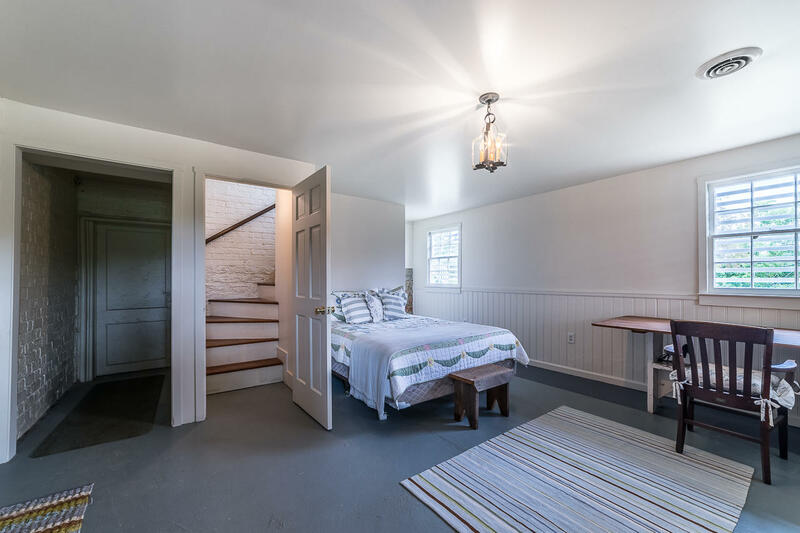 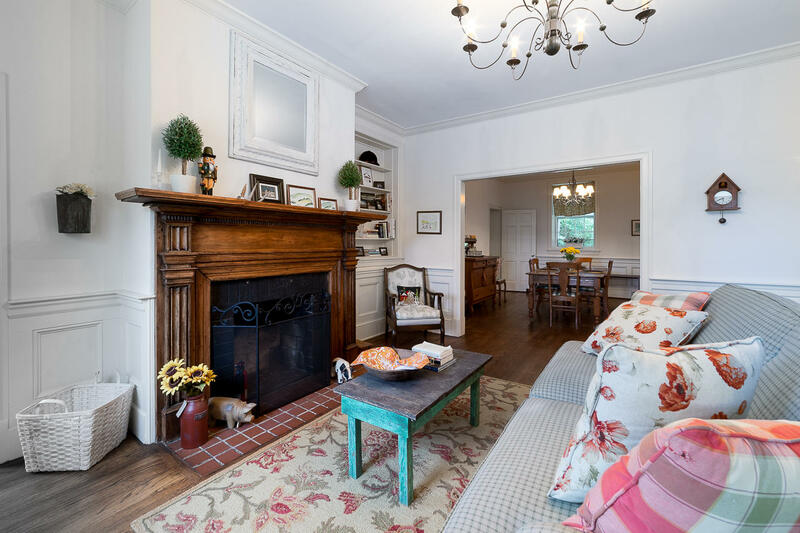 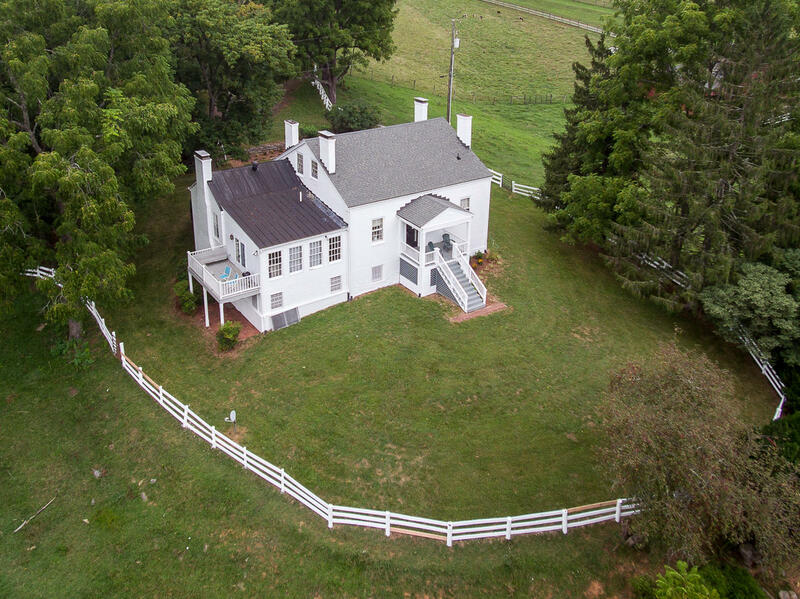 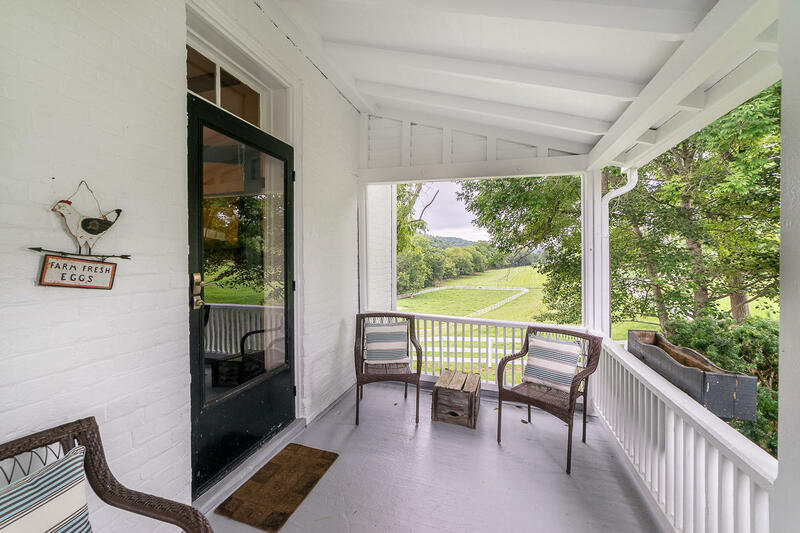 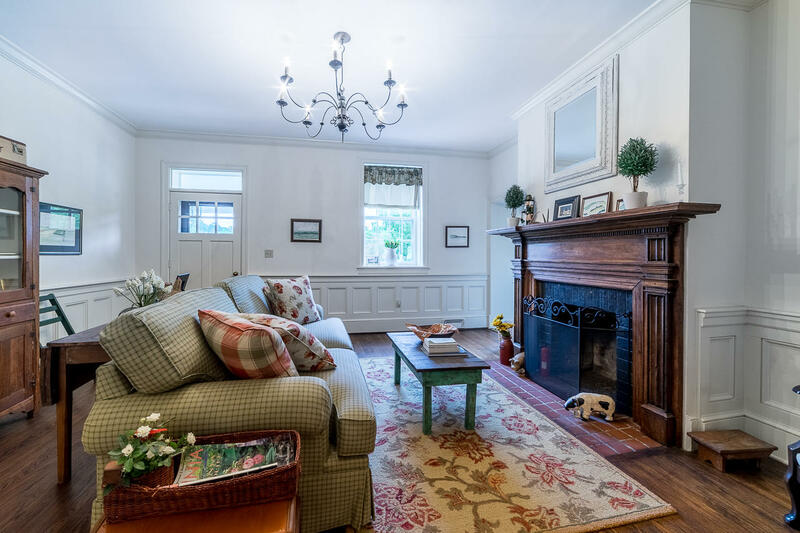 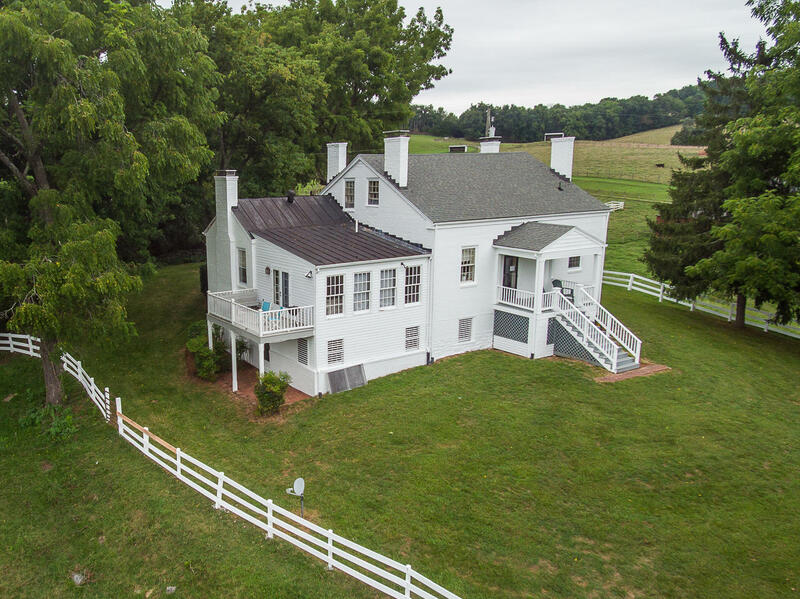 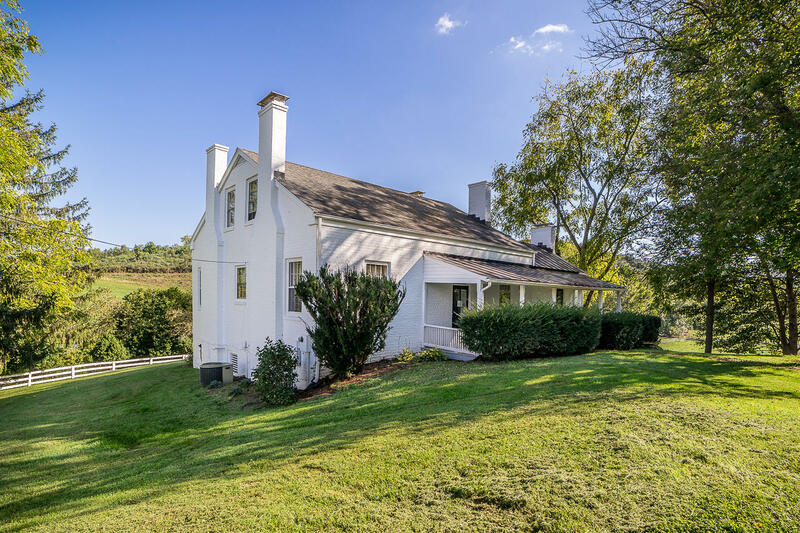 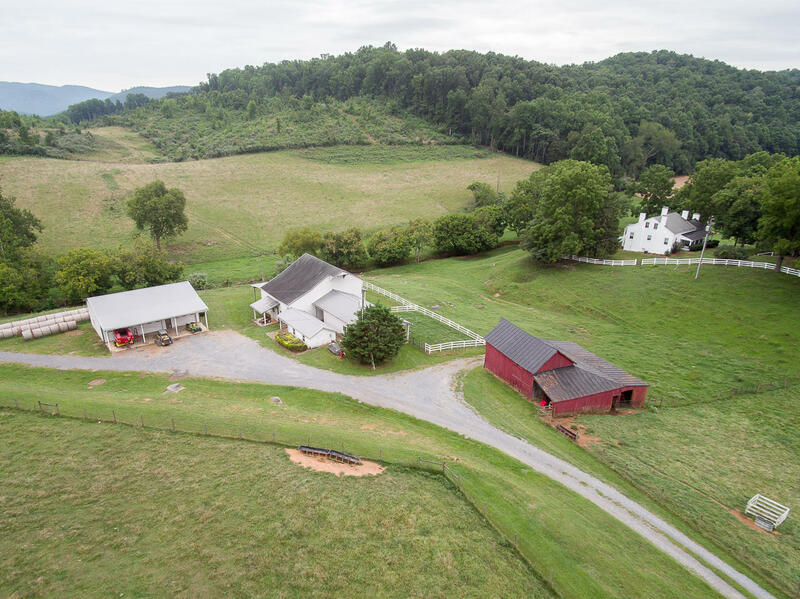 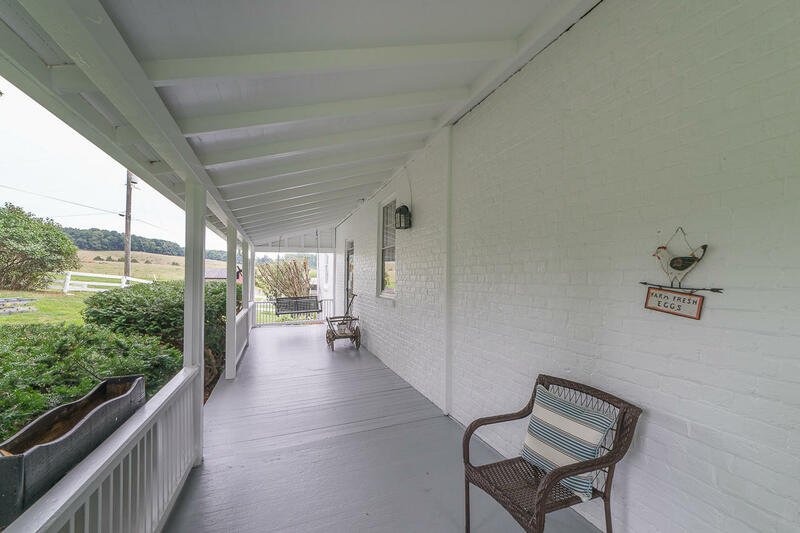 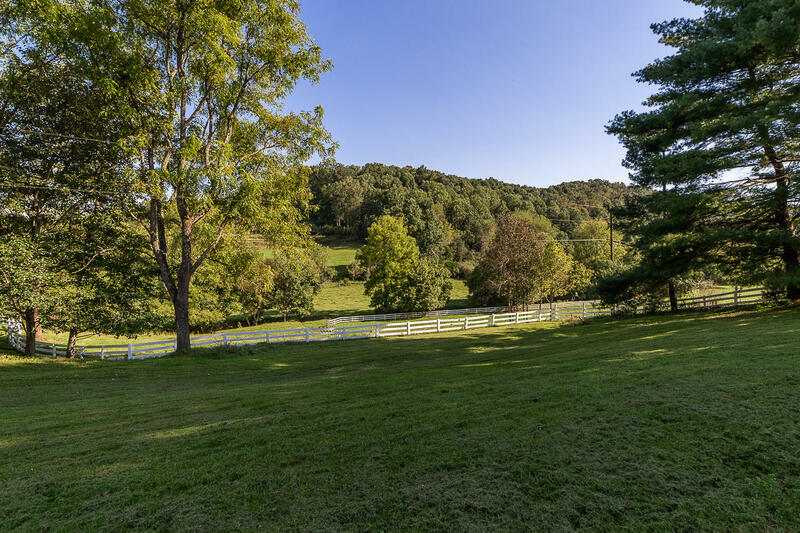 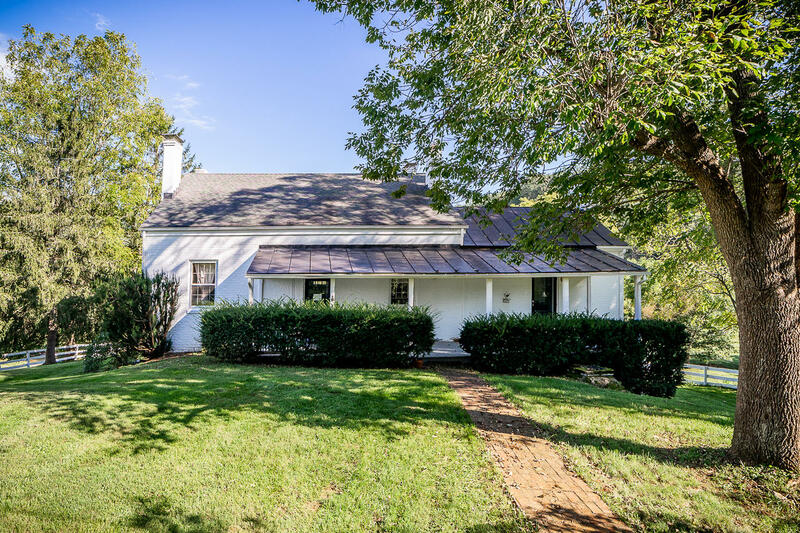 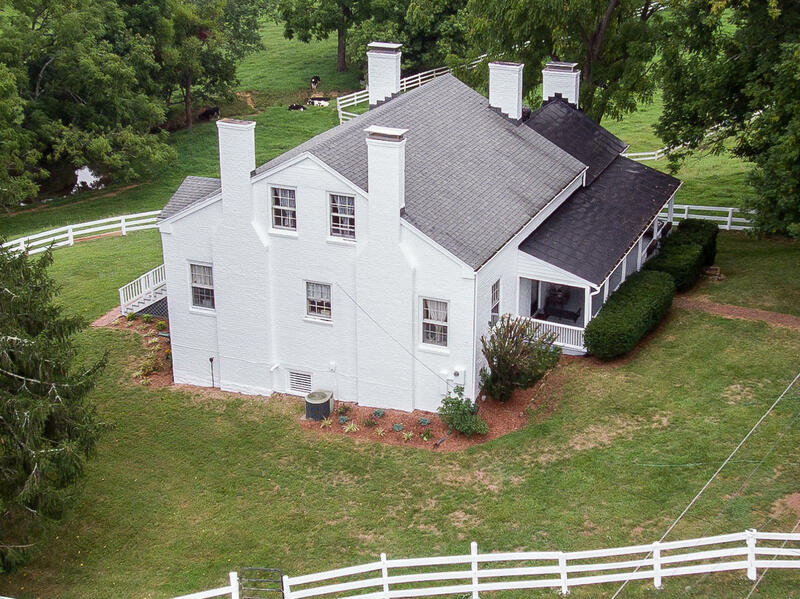 Five Chimneys, c.1820, a classic brick farmhouse surrounded by mature hardwood trees with mountain views. 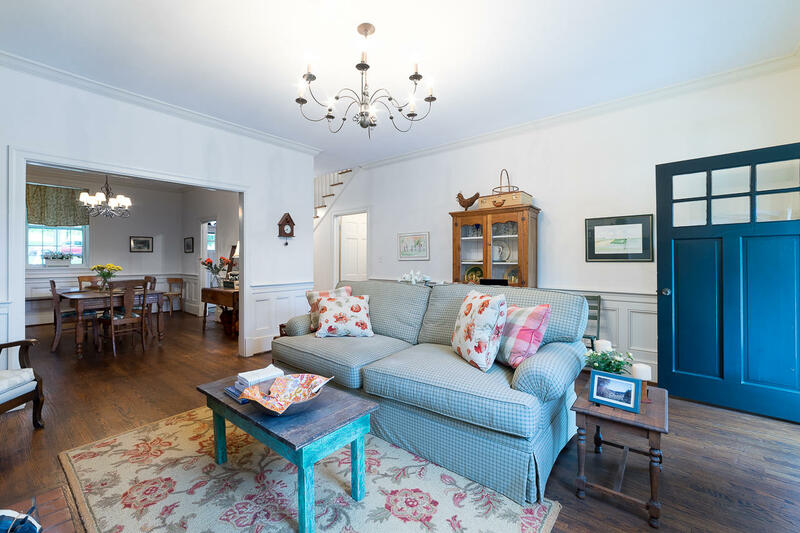 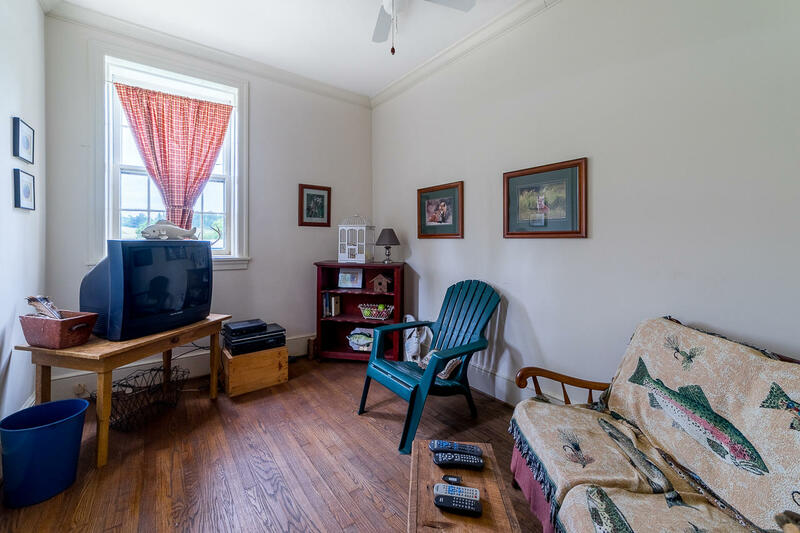 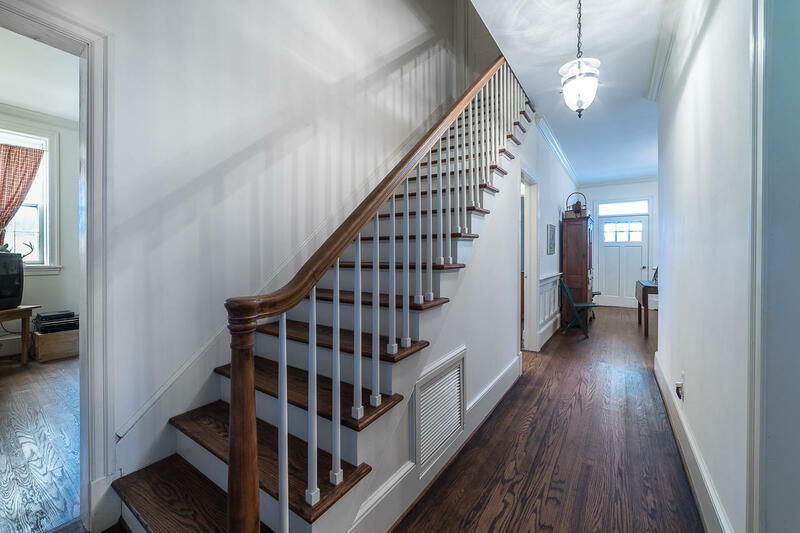 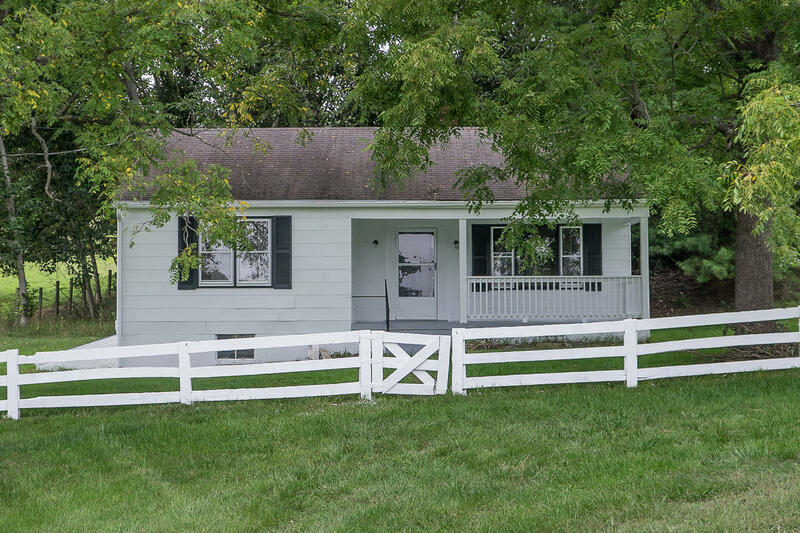 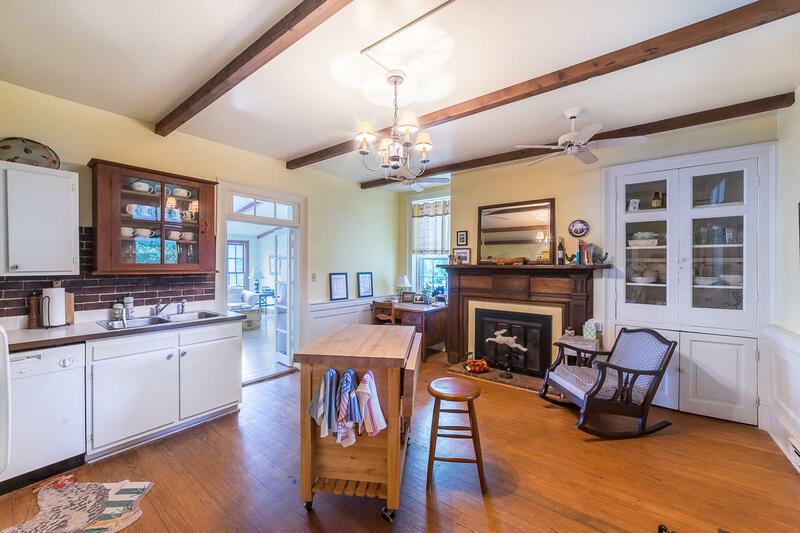 3 bedrooms and 2.5 updated baths, country kitchen, 2 fireplaces, and a broad front porch. 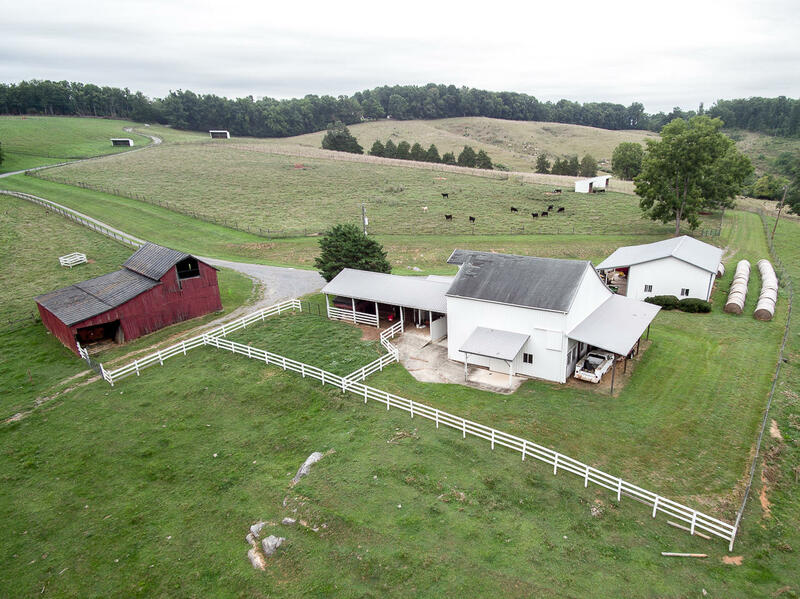 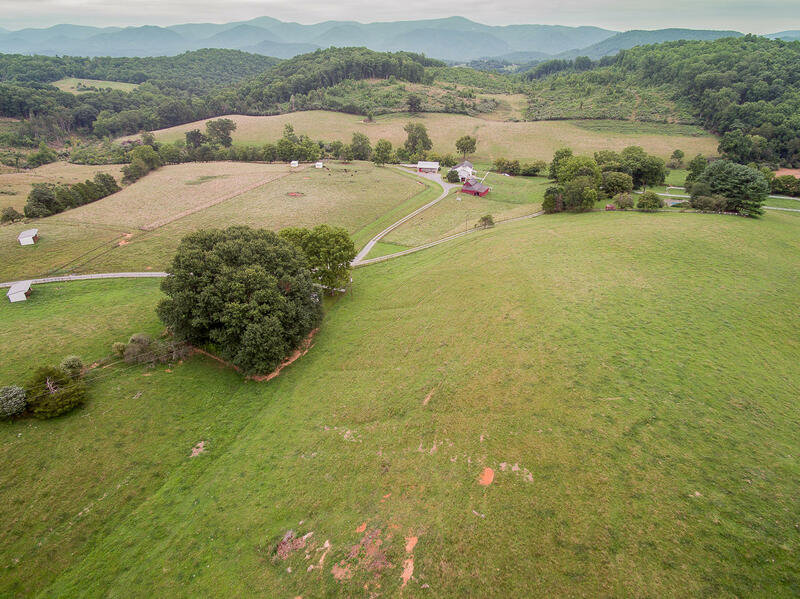 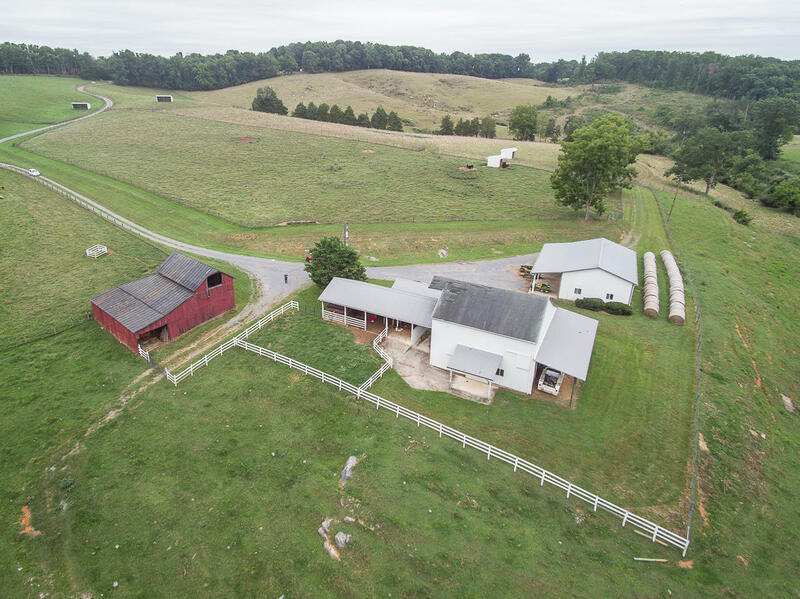 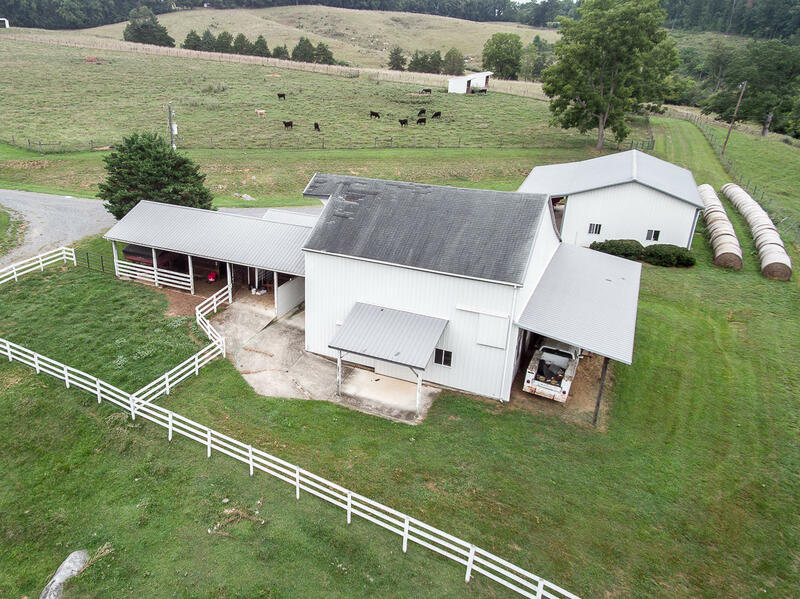 50 acres of productive pasture with long frontage on Pogue Run Creek. 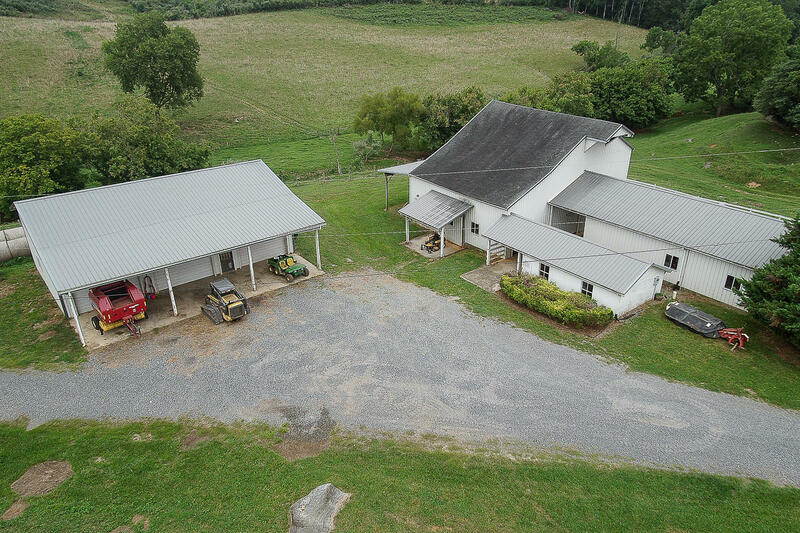 A barn complex, in good condition, could serve a variety of agricultural uses. 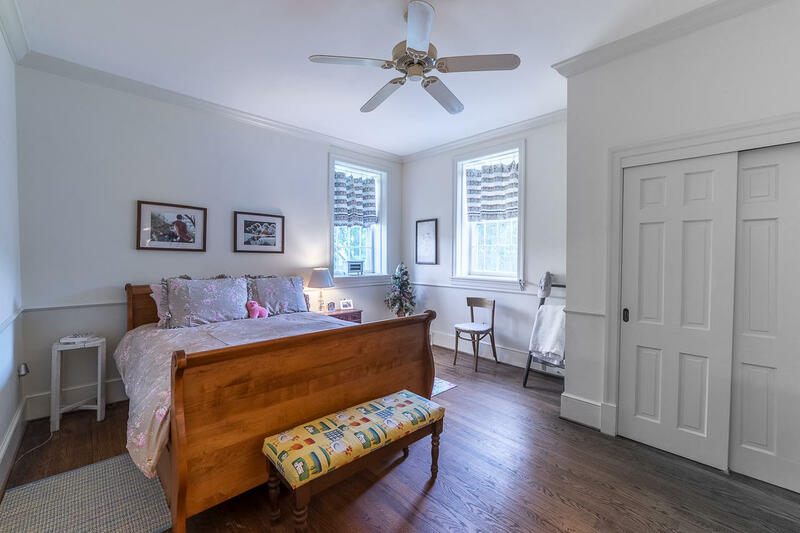 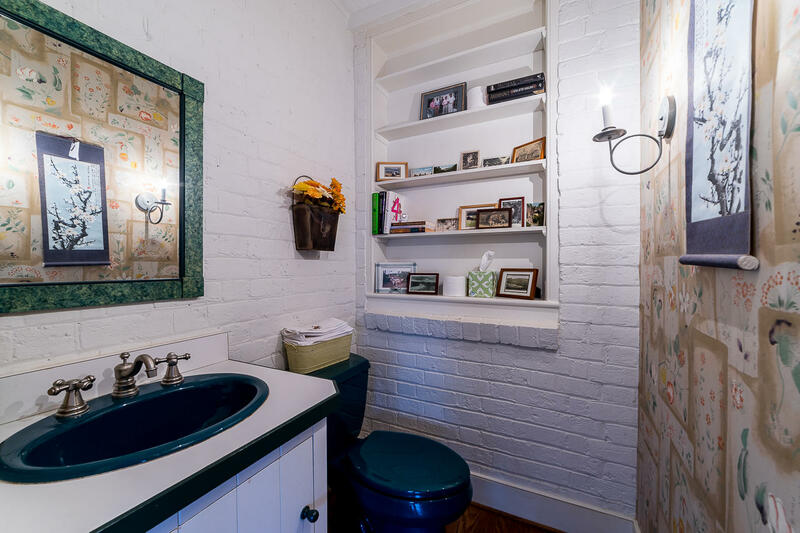 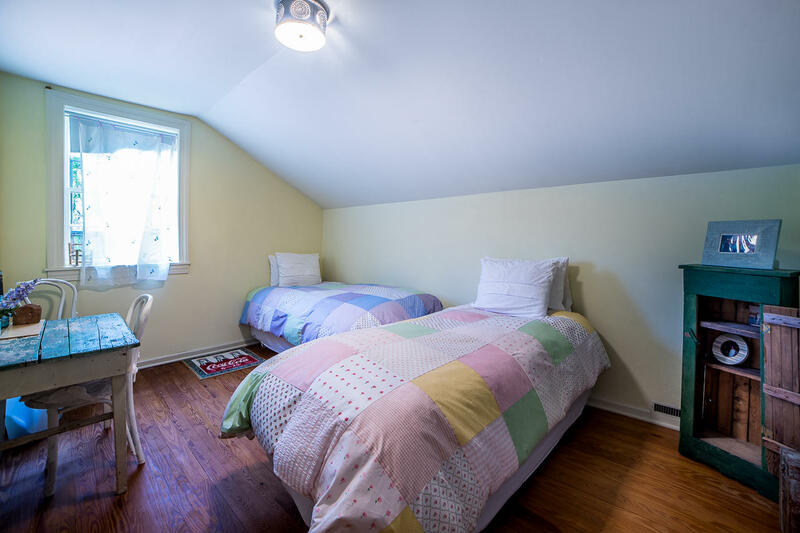 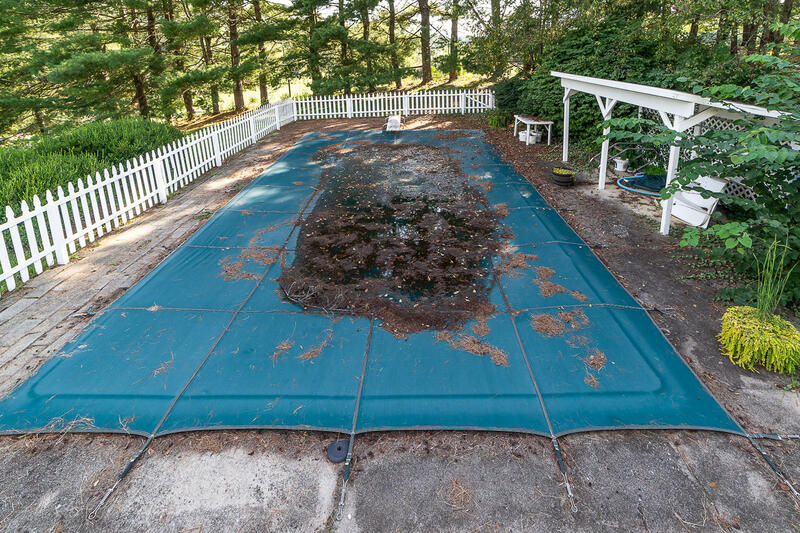 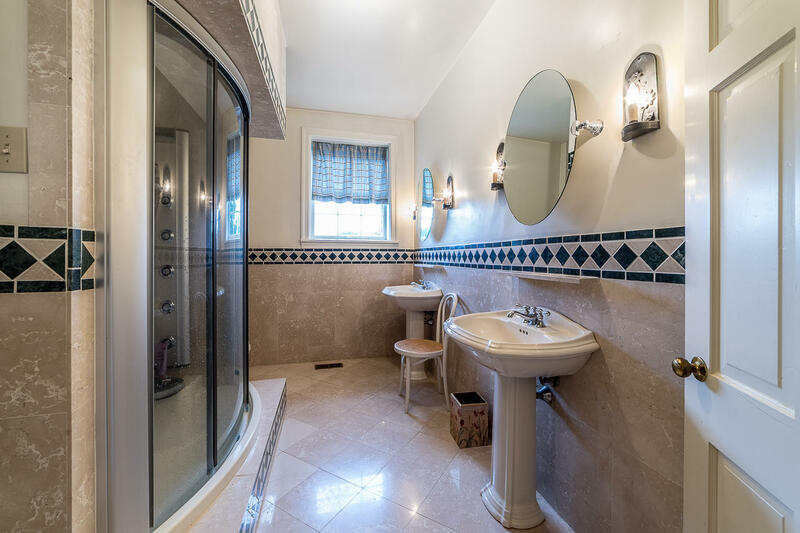 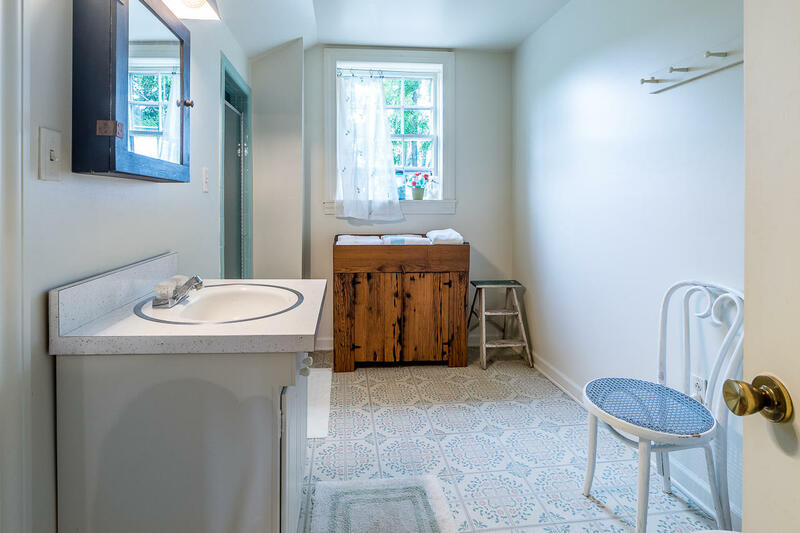 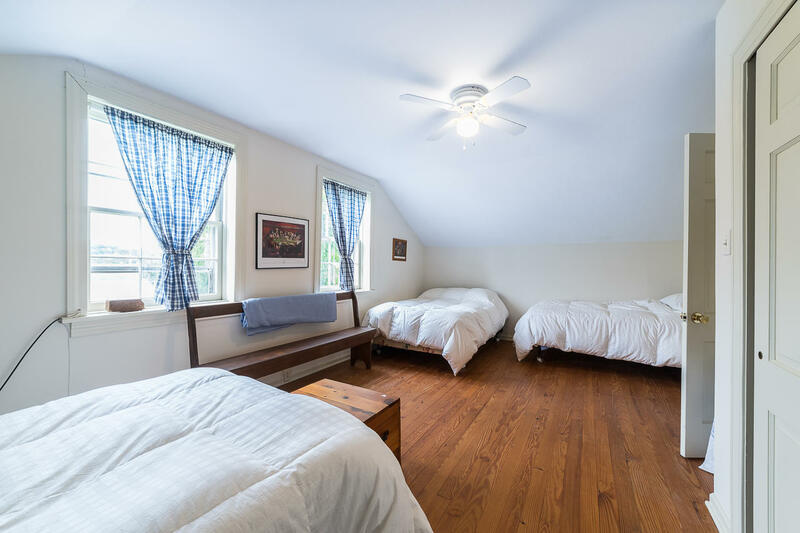 A 2 bedroom guest house/rental cottage is set privately away from the main home. 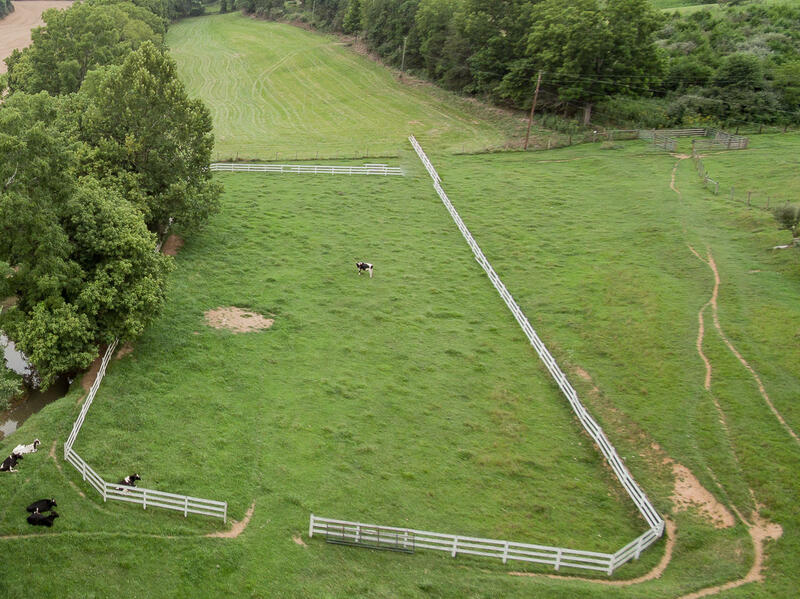 Stable paddocks, and run-in sheds make this an excellent horse property, or it could be a private, country retreat. 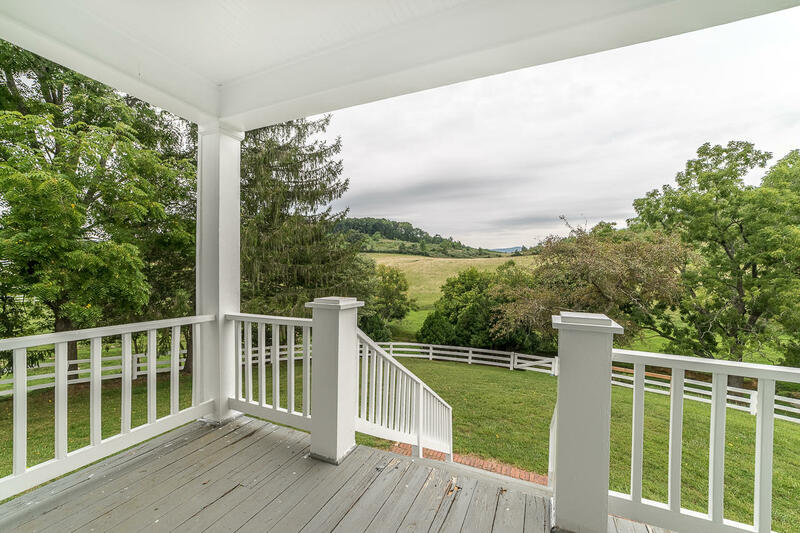 Just south of the historic college town of Lexington, in the heart of the Shenandoah Valley. 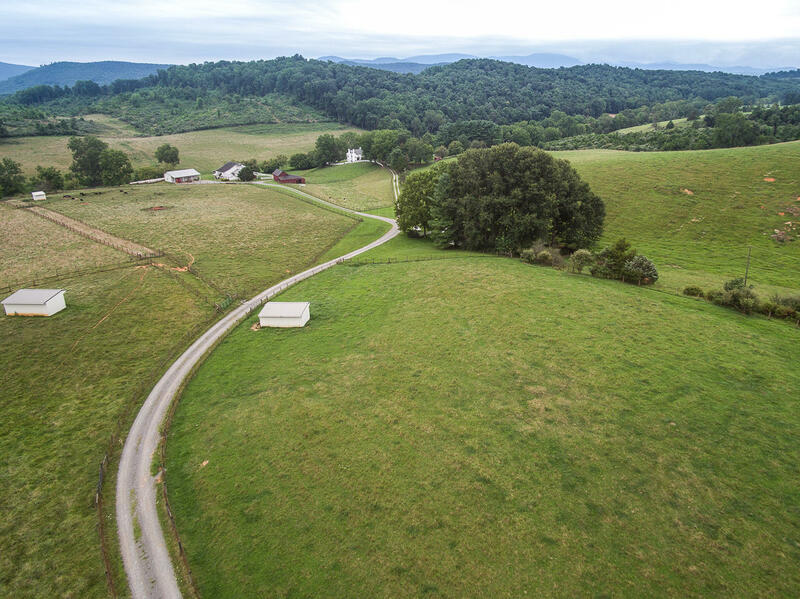 Up to 212 additional acres are available.